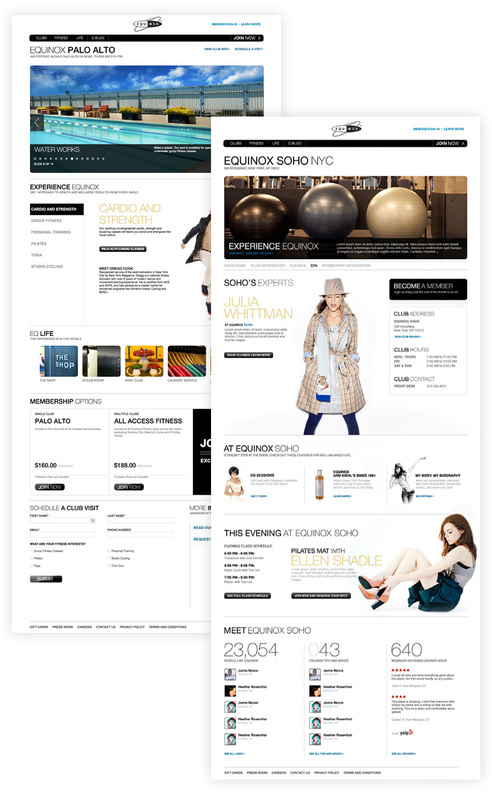 Equinox wanted to implement online sales functionality and a totally redesigned web experience in a way that conveyed the sophistication and luxury feel of the brand. We worked tirelessly to marry functionality with aesthetics to provide an equally exceptional online experience that Equinox delivers to its members. 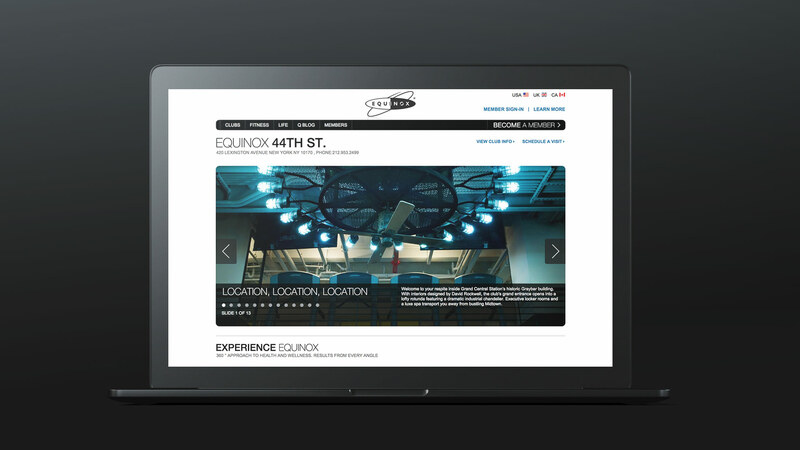 Previously, equinox.com had a dark, tone-on-tone look and feel, but we wanted to turn it on its head. Bringing together photography, video, tone, and a brand new color palette, we created an online experience that pushed the brand forward and became a primary sales channel.